Discussion in 'iPhone and iPad Games' started by Boardumb, Sep 21, 2016. 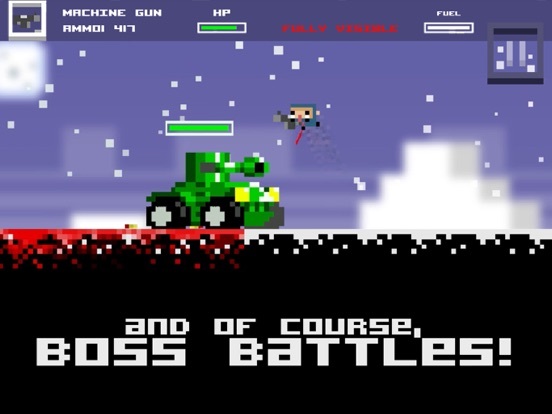 Tons of Bullets **Top #10 Hot Games Touch Arcade** A super retro 2D pixel platformer adventure infused with tons of bullets and tons of features! 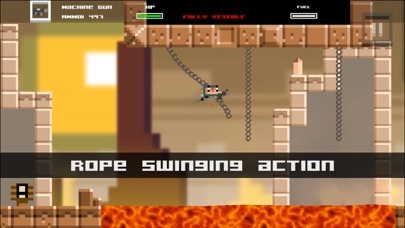 Fight as Kenji the Ninja and embark on his adventure to save his girlfriend who is kidnapped by his nemesis, Dr. Mad. Jump! Shoot! Swim! 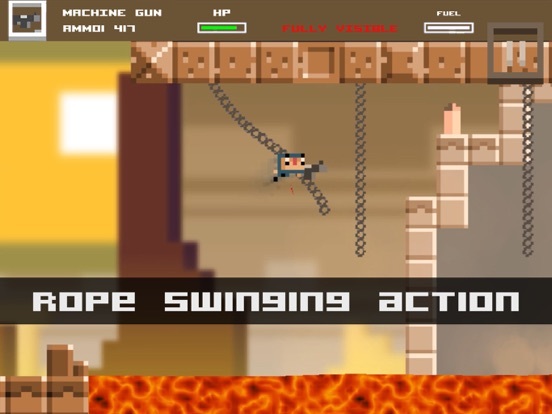 Do whatever it takes to save his loved one in this action packed 2D pixel platformer game! 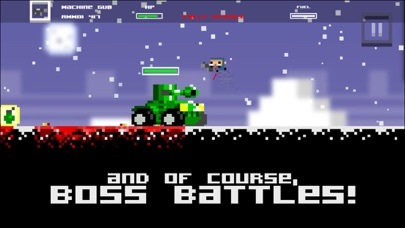 Chase Dr. Mad and his henchmen through various obstacles and environment such as Snow field, Lava and submerged caves. 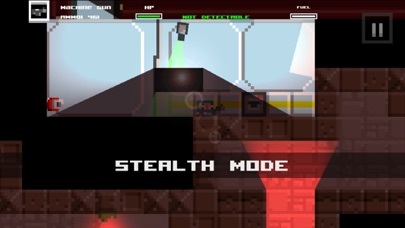 Uncover secret rooms to obtain new weapon arsenal to use them against Dr. Mad’s creatures such as the killer Penguins. Beware Dr. Mad's bots and guns as they will shoot anyone in sights. If you can't destroy them, hide in the shadow and become invisible. 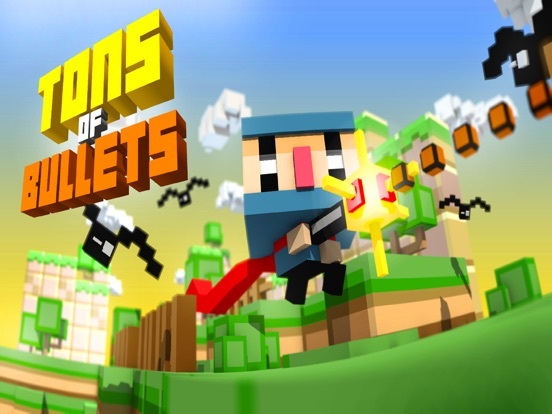 If you are a fan of 2D retro action platformer games, Tons of Bullets is one game that you should not miss! 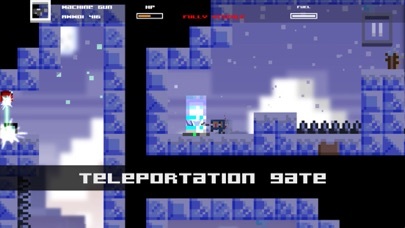 === FEATURES === o Action platformer game at its finest; shoot, teleport, swing, double jump, jetpacking, carry, push and more! 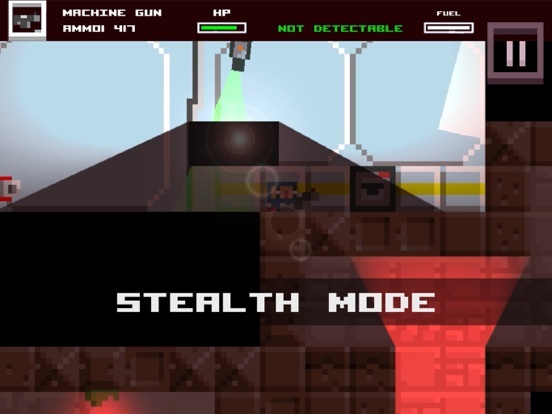 o Stealth mode mechanics, Ninja style o Eye Candy Pixel Art graphics o Rideable vehicles to help you get through the adventure o Various different weapons with its inventory system o Scripted cut scenes o Night Vision mode o Destructible objects o Huge bosses! o Great touch control o Gamepad support (MFI and iCade for iOS official gamepads) o Multi lingual support – final list of language supported will be provided nearing to launch day! ... and much more! Check out our pages below for more information, updates and announcement about Tons of Bullets! 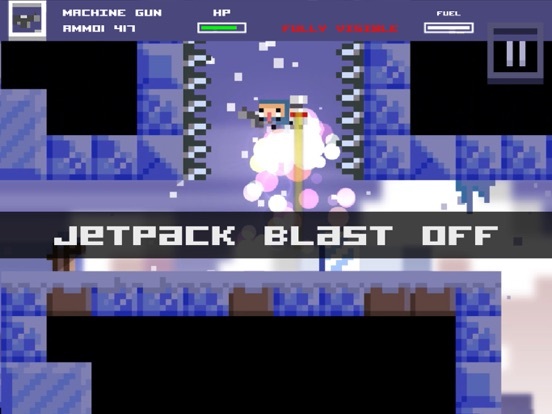 Official Page: http://playplayfun.com/tons-of-bullets-game-official-page/ Facebook Page: https://www.facebook.com/2dpixel/"
I jumped on this like I jump on anything that is described as MetroidVania. I'm stuck just after the slime bosses, and it looks like I'm supposed to jump into a boat in a the water. The boat though seems to have flipped over and every time I jump for it, I fall through and get eaten by little murder fish. Maybe someone can help me. Is this a bug? You can use the boat pressing the action button (the blue one that you use for open chests) in the air when you are near the boat. Thanks for the feedback. This shouldn't be the case that you get persistently asked and we are now on the case and will make the necessary amendment. Will this run on Apple TV too? It supports MFi...? Want to love this so badly. Do I just stink or do the controls need to be tightened up a little? Honestly can't tell. I'm stuck on a section where I have to jump between walls to avoid spikes. I've tried the controls on both the in-game dpad and mi-fi controller. Still difficult to jump from one wall to the other. I think I've been killed at least 30 times. Having a hard time adjusting to jumping with accuracy in tight spaces. Sorry to interrupt... I've been wanting this but holding off because it didn't look like there was Game Center support (judging from the App Store notes). Am I right? May pick this up anyway since it's cheap and looks awesome. I'm wanting to like this game, but the controls are just horrible. I don't like how the movement is a floating joystick. The jump button seems real unresponsive too. I can't even make it past the first checkpoint. Double jump seems to work when it wants to. I feel like I'm fighting the controls. Not having any fun with it. Looking forward to your thoughts, collider. Major game breaking bugs. I recommend holding off on buying until the game gets some polish. Swimming through water is a chore. Takes over a minute to swim a simple section, and if you happen to die in the upcoming boss battle, you'll be swimming it again. Speaking of the first boss battle, the first try was unbeatable as my guns inexplicably stopped working. Full ammo, just no pew pew. Now I'm stuck right after at the upside down boat. First time I got there, it was right side up. Now when I reach it, it's upside down and won't function. I can get in the boat, but do nothing more. Devs, please fix asap. Game seems like it has promise but it's broken 10 min into playing. Will be asking for a refund. Thanks for the feedback, we have a fix in place for this occasional upside down boat and are just waiting on the App Store Review team so this will be sorted shortly. We will look into the gun not working to see if we can replicate this. Appreciate the time taken to feedback. Thanks for the responsiveness. Are you looking into the controls as well? So I've just defeated the helicopter boss, and I cannot proceed. I've just received the bazooka and in the next level, my dude won't move at all. The only responsive button is the shoot button, which just launches the bazooka a little bit to the right. The development team have been informed - thanks all for your feedback we are looking to rectify all found issues as soon as possible. Can you confirm your device and OS please if possible.